Back in November 2012 while getting into Dead Space, Lewis recommended me a manga at our local library that he had already read several months prior. I have not really read a horror manga before but then I read the first 2 volumes of this psychological horror thriller, complete with murder, demons, secrets and mysteries. I have now been officially hooked into the twisted world of Higurashi When They Cry! This manga series (based on the visual novel of the same name) is very intricate and intriguing at the same time. I have read The Abducted by Demons Arc of this series (which consists of two volumes). This arc takes us to the village of Hinamizawa where Keiichi Maebara has just moved to. The village is a seemingly peaceful environment and he starts to make good friends with four girls, Rena Ryuuguu, Mion Sonozaki, Rika Furude and Satoko Houjou, most of the time ending up as their boy toy in all sorts of games at school! But all this changes one day when Keiichi goes to the dump with Rena and he hears a dark and sinister rumour about a murder that took place in the village from a stranger. After asking Rena about it he is met with nothing but a haunting look and an 'I don't know' which marks the beginning of the sinister chain of events to come. 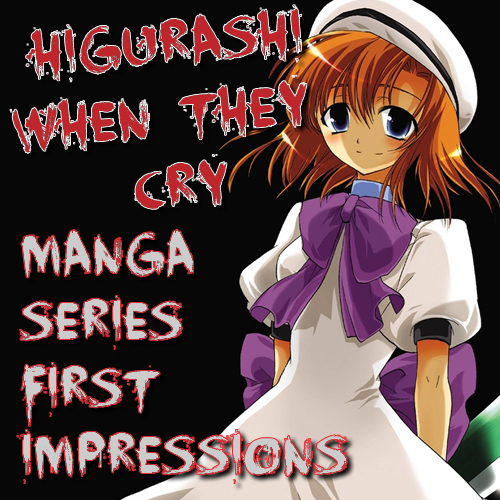 The manga version of Higurashi When They Cry has 14 'arcs', while the anime series is 2 seasons long (26 episodes for the first season and 24 episodes for the second season), along with many OVA's. The series can prove to be a little complicated to understand at first with all its expansions and spin-offs. 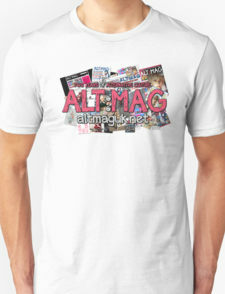 Personally, I prefer the manga as the books have been ordered into an easy to understand fashion (in arcs and volumes). I really like the fact that the story is told from different points of view (depending on which arc you are reading) which is surprisingly easy to follow. However this is only beginning for me, so this could all change. This creepy, twisted tale took me out of my comfort zone and into a series of rather nasty events where everyone is Keiichi's enemy (which reminds me of Sergeant Angel in Hot Fuzz, although not as light hearted and funny). Keiichi's got his own harem but not of the good kind, they all toy with him, teasing him with answers and questions, when really they know more than they are letting on. 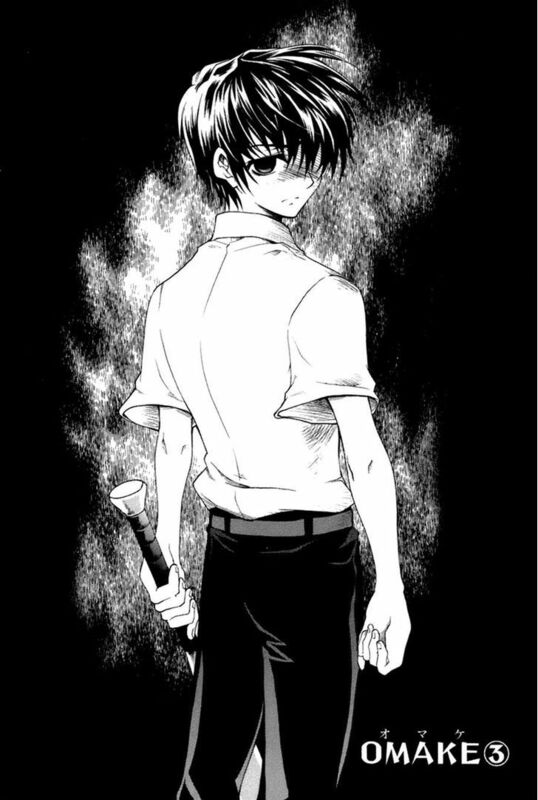 Soon comes the stalking, threatening and the questioning of Keiichi's own sanity. One important thing to mention is the detail that the artist Karin Suzuragi has put into the characters and the presentation of certain spine-chilling moments (mainly some character's creepy facial expressions) is incredible and really captures the sinister nature of the storyline perfectly. So what are my first impressions of this manga series? Well, reading the first arc was tough enough, with an ending so shocking and fucked up that it left me with many questions as to what the hell happened. It seems that right now the only solution is to read the other arcs which might result in these questions being answered or perhaps it'll just give me even more questions. Only time will tell, but at the moment I'm loving it.